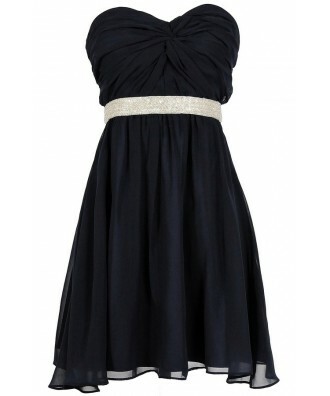 You have added Twisted Chiffon Embellished Designer Dress in Navy into shopping cart. FINAL SALE. This striking chiffon designer dress is one of our favorites—and it comes in two color options for you to choose from. The Twisted Chiffon Embellished Designer Dress is fully lined and it has a strapless sweetheart neckline and lightly padded bust for support. The bust has a unique and beautiful twisted chiffon detail we adore. The empire waist is heavily embellished with a band of miniature seed beeds, giving it the perfect extra sparkle. The attached skirt has a flowy A-line shape. A hidden back zipper completes this dress. The Twisted Chiffon Embellished Designer Dress would be perfect to wear as a cocktail dress or party dress for any upcoming dance or event on your calendar. 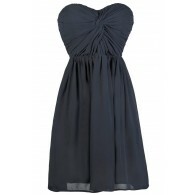 It would also make a nice bridesmaid dress as well. 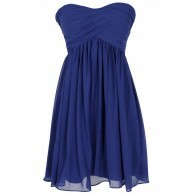 This dress looks great paired with matching pumps or strappy metallic heels. Details: Fully lined. Lined and lightly padded bust. Hidden back zipper. 100% polyester. Lining: 95% polyester, 5% spandex. Dry clean only. Small measurements: Length from top of bust to hemline: 27”. Bust: 32”. 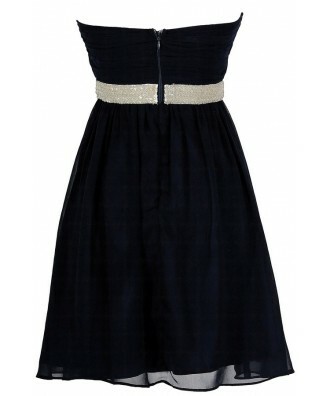 You have added Twisted Chiffon Embellished Designer Dress in Navy into Wishlist. 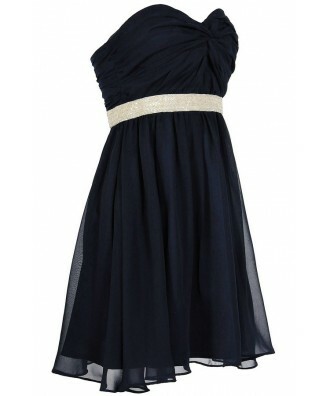 You have added Twisted Chiffon Embellished Designer Dress in Navy for Stock Notification. 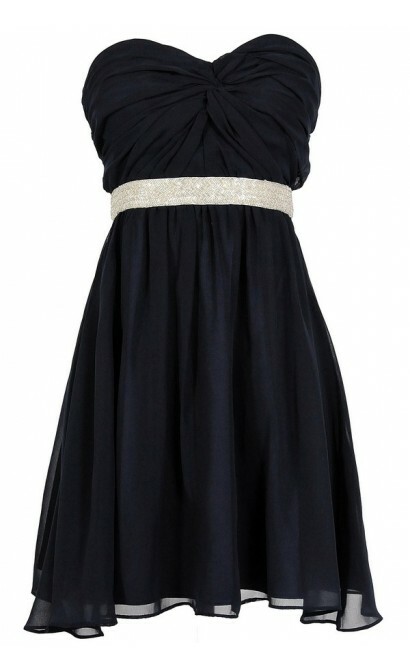 You have set Twisted Chiffon Embellished Designer Dress in Navy as a loved product. 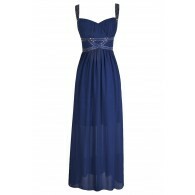 You have removed Twisted Chiffon Embellished Designer Dress in Navy as a loved product.